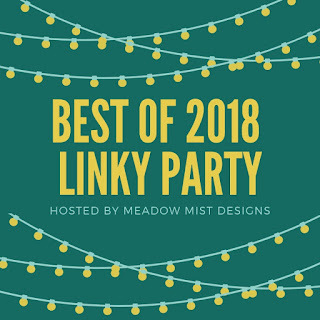 ​Today on Pieceful Sunday, I am linking up with Cheryl @ Meadow Mist Designs' Best of 2018 Linky Party. I linked up last year and enjoyed reviewing my favorite blog posts. Join me in my review of 2018! I selected five of my favorite posts (in no particular order). To see the other participating bloggers' posts, click on the Best of 2018 Linky Party button. This is the year that I joined the RV Quilters Facebook group. We are quilters who like to combine quilting and Rving! The photo is of my teardrop trailer. It is a clam shell with the kitchen in the back. I made the awning myself. On my lap is Sock Monkey. He travels with me and my husband pretty much everywhere we go. Some of the places that he has travelled include Turkey, Alcatraz, Machu Picchu, and Scotland. Pieceful Sunday: RV Quilters First SEW2Gether Rally! We were having so much fun communicating on the RV Quilters Facebook page that some of us decided to hold a rally in Branson, MO and meet each other in person. Spoiler alert: we will be rallying again this year in North Carolina and in Texas. Our Partners in Design group hosted another Quilt Along this year called Fall into a QAL. I was particularly happy with my block: Harvest Basket. This year, I will be releasing a quilt pattern based on this block. Stay tuned! Partners in Design will be hosting another Quilt Along as well! It will be a lot of fun. I took some English Paper Piecing to the UK and visited Durat Castle which is the ancestral home of the Maclean Clan. It turns out that I am a clan member! I had to go see the old homestead for myself. Finally, I could not leave out a post that showcases the work of some of my workshop participants. I had so much fun teaching this year here in Tahlequah, Oklahoma! I met some fantastic ladies who love quilting. Thank you for your enthusiasm! It is contagious. Can't wait until next year's workshops! They start January 12, 2019 with Quilt in a Day's Rabbit Hole Quilt pattern. Register here. Thanks for joining me for my trip down memory lane! Now it is your turn! I enjoy seeing your posts! You can link up your in-progress or completed piecing projects using the Pieceful Sunday Linky Party button below. Please note that the thumbnail photos and links will not show up on this page. You will need to click the Pieceful Sunday Linky Party button to see the photos and links. This may be a little different from what you are used to. The link-up will be available until Saturday, January 5, 2019 at midnight. If you prefer, you can also link up on Instagram using #PiecefulSundayatJANDABendQuilts. ​To view the link-ups or to add your link-up, click on the Pieceful Sunday Linky Party button. Thanks for stopping by. If you have questions or comments, please go to comments or contact me by email. 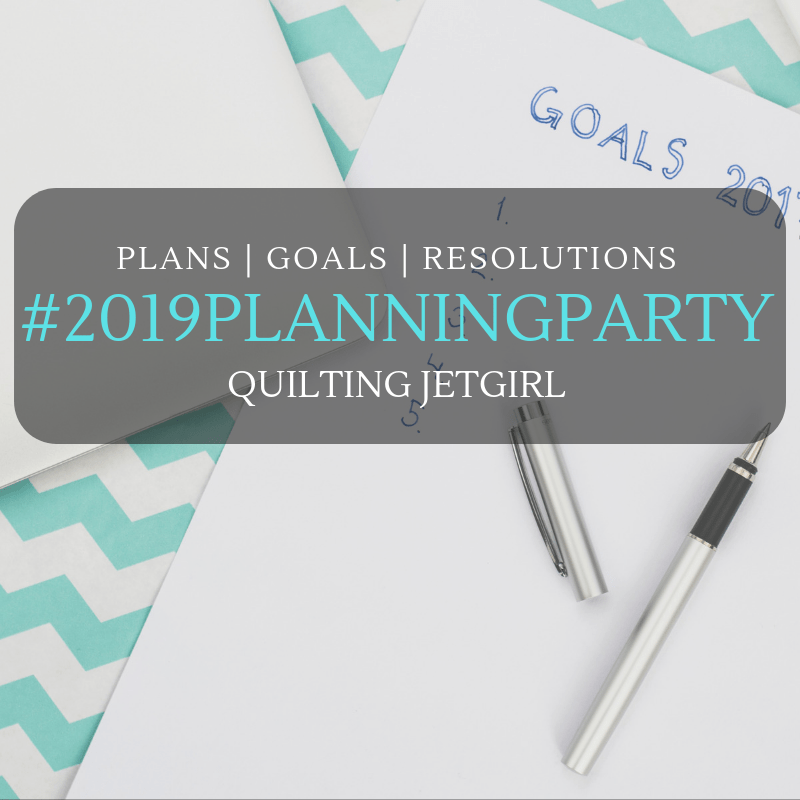 This week on the Pieceful Sunday Linky Party, I am thinking about plans for 2019 and linking up with Yvonne @ Quilting Jet Girl. Yvonne holds an annual planning party. I participated last year, so before I discuss my plans for 2019, I am going to review how many goals I accomplished in 2018. How Did I Do in 2018? Overall. I think that I did pretty well, but some of my goals will be moved to 2019. Workshops. I accomplished this goal! I taught seven Saturday Quilting Workshops at the Tahlequah Armory and Municipal Center in Tahlequah, Oklahoma. Most of them were Quilt in a Day (not an affiliate link) patterns, but two were of my own design! Pattern Designs. I am counting this as partial completion. I did complete two new designs. However, they are not for sale in my store yet. Online Stores. I still only have an Online Quilt Shop at JANDA Bend Quilts. I dd not create an Etsy or a Craftsy store as planned. Web Site. I accomplished this goal! I did reorganize my website and make it more user friendly as planned. Social Media. Accomplished! I did start a JANDA Bend Facebook Group, and have used it to promote my workshops! In addition, I have improved my use of Instagram. Quilt Alongs. After our successful I Wish You a Merry QAL quilt along, We decided to form a more formal group called Partners in Design. April at JANDA Bend Quilts <--That's me! We completed ourFall into a QAL quilt along in November. In addition, I have continued to participate in the Fat Quarter Shop Quilt Alongs. Quilt Market and Quilt Festival in Houston. Unfortunately, I was unable to attend this year. Pattern Designs. I want to complete at least four new pattern designs this year and sell them at my Online Quilt Shop and on my new Etsy and Craftsy stores. Quilt and Quilt Kit Sales. This year I sold my quilts at ourJANDA Bend Christmas Trees Shop and sold Pre-cut Quilt Kits at my Online Quilt Shop. Next year, I want to sell Quilts and Pre-cut Quilt Kits at my new Etsy Shop as well and expand my Pre-cut Quilt Kit offerings. Workshops. I want to continue to offer monthly Quilt Workshops. I have already scheduled workshops through July. Quilt Alongs. Partners in Design has scheduled a quilt along for this year. I am hosting and designing two blocks. In addition, I would like to try my own quilt along using a pattern that I designed. Quilt Market. I want to attend either the Spring Quilt Market in Kansas City or the Fall Quilt Market in Houston this year. Looks like another challenging year! That's the way I like it. Now it is your turn! I enjoy seeing your posts! You can link up your in-progress or completed piecing projects using the Pieceful Sunday Linky Party button below. Please note that the thumbnail photos and links will not show up on this page. You will need to click the Pieceful Sunday Linky Party button to see the photos and links. This may be a little different from what you are used to. The link-up will be available until Saturday, December 29, 2018 at midnight. If you prefer, you can also link up on Instagram using #PiecefulSundayatJANDABendQuilts. This week on Pieceful Sunday, I am sharing information about my first 2019 workshop - Rabbit Hole Quilt by Quilt in a Day! It will be held January 12, 2019. As many of you know Eleanor Burns is my quilting hero, I learned how to piece on a sewing machine by watching her TV shows. I am such a fan that I became a Quilt in a Day Certified Teacher! That is why I teach so many Quilt in a Day patterns. This pattern was designed by Sue Bouchard and is a wonky variation of the Log Cabin Block. Although it looks complex, it goes to together easily with the 2 1/2" Wonky Ruler. ​The photo below shows a close up my version which I call "Peppermint Christmas". It is the sample that I am making for the workshop. The quilt top is complete, but I still need to quilt it. I wanted to show you what the pattern looks like in fabric other than solids or tone on tone. There is a lot going on in this version! This photo shows the 2 1/2" Wonky Ruler as well as the pattern. If you want to take the class, but don't have the ruler, don't worry! I have a class set of rulers that you can use during the workshop. This six-hour scheduled workshop will be held in Tahlequah, Oklahoma. However, if you don't happen to live in Northeastern Oklahoma, I do travel. I can schedule a workshop near you. Just email me to discuss how that can happen. ​If you do live in Northeastern Oklahoma, you can register here. You can see the workshops that I have scheduled so far for 2019 by clicking here. I can travel to present these classes as well. Now it is your turn! I enjoy seeing your posts! You can link up your in-progress or completed piecing projects using the Pieceful Sunday Linky Party button below. Please note that the thumbnail photos and links will not show up on this page. You will need to click the Pieceful Sunday Linky Party button to see the photos and links. This may be a little different from what you are used to. The link-up will be available until Saturday, December 22, 2018 at midnight. If you prefer, you can also link up on Instagram using #PiecefulSundayatJANDABendQuilts. Welcome back to Pieceful Sunday! ​I know. It's been awhile. I have to admit that I fell a little behind finishing up the Fall into a QAL quilt along and preparing to sell Christmas Trees on our farm. I am happy to be back with the Pieceful Sunday Linky Party where I share my piecing project and you share yours! This week I am showing you my 12.5" block Tremors. It is a variation of the classic Tumbler block. Can you see the water sloshing in the tumblers? It looks complicated, but it is simple to make with the ﻿Accuquilt﻿ (affiliate link) Tumbler die (#55015). I made the pieced tumblers by sewing together 5” lengths of Lavish, Island Batik (not an affiliate link) 2.5” strips. ​You will need (20) 2.5" by 5" rectangles in various fabrics. I used 10 darks, 10 lights. I placed the darker fabric at the bottom of the tumbler and pressed seams toward the dark. See photos below. ​Then I placed the seam at an angle (dark fabric at the bottom of the tumbler) on the die and cut the tumblers using my Accuquilt cutter and 3.5” tumbler die (#55015). The background tumblers were cut from Island Batik's California Creamery charm pack. I varied the angle slightly for variety and made sure that different tumblers sloshed in one of the two directions. See photos below. After cutting 10 sloshy tumblers and 18 background tumblers, I arranged them so that the sloshy tumblers were wide side up and that the background tumblers were between the sloshy tumblers. I added four background tumblers on each side as well. These will be used to square the block to 12.5" later. When I was pleased with the arrangement, I sewed the tumblers in rows. The odd row seams were pressed to the right. The even row seams were pressed to the left. This assured that the seams would lock when the rows were sewn together. Sew photos below. Then I sewed the rows together. Seams should lock. Seams were pressed toward the bottom of the block. Then, using my 12.5" Quilt in a Day Square Up ruler, I squared the block to 12.5". See the completed block below. I really enjoyed making this block because I was able to use my Tumbler Die in a new way. Now it is your turn! I enjoy seeing your posts! You can link up your in-progress or completed piecing projects using the Pieceful Sunday Linky Party button below. Please note that the thumbnail photos and links will not show up on this page. You will need to click the Pieceful Sunday Linky Party button to see the photos and links. This may be a little different from what you are used to. The link-up will be available until Saturday, December 15, 2018 at midnight. If you prefer, you can also link up on Instagram using #PiecefulSundayatJANDABendQuilts. To see the link-ups or to add your link-up, click on the Pieceful Sunday Linky Party button. 2018 has been the Year of the Workshop for me. After retiring from teaching in May 2016, I wanted to start teaching people how to quilt. However, I was not sure how to begin. Then I saw that Quilt in a Day was offering a course that would enable people to become Quilt in a Day Certified Teachers. Eleanor Burns has been my mentor since the 1980's. I learned to piece on a sewing machine by watching her on television, participating in her block parties, and making the majority of her patterns. Being a Certified Quilt in a Day Teacher seemed perfect for me. I went to the training in Paducah, Kentucky and met some wonderful quilters. The training was thorough and very helpful. You can read more about it here. However, after I was certified, I was still unsure about how to get started. Where would I teach? How would I recruit students? I tried many of the venues that were suggested in the training. I tried contacting local quilt shops. There are very few local quilt shops in rural Oklahoma, which is where I live. I tried contacting quilt guilds. I wrote to program chairs for local quilt shows. Nothing seemed to be working for me. Then I decided that rural Oklahoma is different from large cities. I have to think local. I live in the country. The closest town is Tahlequah, Oklahoma. The city of Tahlequah has an Armory and Municipal Center that rents space at a very reasonable rate. I visited the facility and found that one of their rooms would fit my needs, There was good lighting, a cabinet available for ironing and cutting, six-foot tables, and adequate electrical outlets. In addition, the staff were very helpful. I decided to launch my workshops in my own rented space! I set up a workshop schedule. I had some false starts, but eventually I figured out that people like a six-hour workshop for each project. I now schedule one Saturday a month for the workshops, except for November and December when we are selling Christmas Trees on our farm. Here are some of my workshop participants. A big thank you to participants who shared their work. The Seven Pointed Star was made using the Phillips Fiber Art Perfect Seven Ruler (not an affiliate link). The patterns Girl's Best Friend, In the Pines, and Dessert Time are from Quilt in a Day (not an affiliate link). The Patriotic Table Runner and Christmas Wedge Table Runner were designed by JANDA Bend Quilts. I want to thank everyone who participated in my first year of workshops. I met so many wonderful women who share my love of quilting. It was so much fun for me. I hope that you enjoyed it as well. Thank you! I have planned new workshops for 2019. To find out what I will be offering starting in January, go to Scheduled Workshops. Registration will be available soon. Fall into a QAL Quilt Along Quilt Setting! Here is my setting for the 12 Fall into a QAL Blocks! I call the quilt "Welcome Fall". It feels so good to see all 12 blocks in their places! It has been fun, but it is time to complete our quilts. I used a medallion setting for my blocks. It kind of reminds me of Laura Piland's setting from theI Wish You a Merry QAL last year, except that I am using part of a panel for my center. Laura of Slice of Pi Quilts designed her own center. Below is a diagram of the setting. The center block was cut from a panel. Then the 12 blocks were arranged about the center. In order for the spacing to work out, I had to add a border around the panel so that the center block measured a total of 24 1/2" square before adding the surrounding blocks. The finished center block measured 48" square, and the finished size of the 12 blocks were each 12" square. Then, I simply added a 5 1/2" border with cornerstones. The cornerstones were cut from the panel as well. The original panel is shown below. I cut the center medallion and the cornerstones from that panel as shown below. My center medallion cut was 18" square. I cut 3 3/4" strips to add a border. The center medallion with the border measured 24 1/2". I chose a batik for the border that I thought would help blend the center medallion and the surrounding blocks. See the photo below. Then I tried out various arrangements of the blocks and chose the one below. I was looking for a balance of interest and color. Finally, I sewed the blocks together and added the outer border and cornerstones. The cornerstones were 5 1/2" square and the outer border was 5 1/2". The completed quilt will be approximately 58" by 58". See photos below. This has been a fun quilt along for me. I hope that you have enjoyed it as well. Please note that all 12 of the blocks in the Fall into a QAL quilt along will be available free of charge on the designer's web site until November 13, 2018 at midnight EST. We are in the middle of planning another quilt along for 2019. To keep up with all the news, subscribe to the JANDA Bend Quilts Newsletter. You can also join our Partners in Design Facebook Group. Announcements will be made there. ​What Group Is Organizing This Quilt Along? April at JANDA Bend Quilts (Host + Block 2 Designer) <--That's me! ​What Is the Grand Prize? An Island Batik 24 piece Fat Eighth Bundle of the “Pumpkin Patch” fabric collection. ​One Warm Company Queen Size Batting. Exclusive Shabby Fabric quilt pattern “Blessings of Spring” designed by Jennifer Bosworth. The pattern set includes patterns for all 9 blocks to finish to 56" x 62". pair of 4-Inch Needlecraft Scissors. A six month subscription to the e-magazine Make Modern. How Do I Enter to Win the Grand Prize Giveaway? Click the Blue Frog to add a photo of your completed quilt top (which enters you for the giveaways) or to see the completed quilts of others! The winner will be randomly selected from those who post photos of their completed quilt tops by the deadline. Although creativity is encouraged, each of the 12 blocks must follow the posted design. You must be 18 to enter. I Want to See More Settings of the blocks. Who Are the Other Hosts? April Adams at JANDA Bend Quilts <--That's me! You can ask me in a comment to this post or in an email or any of the other Hosts. Who are the Sponsors for the Quilt Along? To see links to my other posts in the Fall into a QAL Quilt Along, click on the button below. ​Be looking for the 2019 Partners in Design Quilt Along! Block 12 is Owl and was designed by Vanda Chittenden at Quilting with Vanda. Vanda's wise old Owl was fun to make! her pattern and tutorial can be found at Quilting with Vanda. Can you believe that it is the last block in our Quilt Along! Be sure to see my setting for the 12 blocks and my completed quilt top in my blog post which is released today as well! As a host for the Fall into a QAL quilt along, I am presenting my version of Vanda's block and my tips for completing it. All 12 of the blocks in the Fall into a QAL quilt along will be available free of charge on the designer's web site until November 13, 2018 at midnight EST. I will be offering links to the released block patterns on my Quilt Alongs page until then. Collect them all! Block 12 is a raw edge applique block. I used Heat and Bond Light to prepare the applique pieces for ironing onto the fabric background square. I cut the background at 13" square and then squared the completed block to 12 1/2" before adding it to my quilt layout. I did this so that I could accurately make a 12 1/2" square with the Owl centered. In addition, I used a Teflon sheet to arrange and ond the more complex pieces on the block. This allowed my to make sure the pieces were properly aligned without worrying about centering the Owl on the background. See photos below. Still working on the Teflon sheet, I added the nose, top of the head, and eyes. See photos. It was finally time to peel the Owl off of the Teflon sheet and permanently bond the owl to the background square. After that, I added the eye pupils. They really seemed to make the owl come alive! Finally, I sewed almost all of the raw edges down using an applique stitch on my sewing machine. I did sew the toes down with a straight stitch because they were so small. See photos below. What Are the Giveaways for Block 12: Owl? A PDF pattern of your choice from Quilting with Vanda Craftsy Store. How Do I Enter to Win the Giveaway for Block 12? Upload a photo of your finished block to Vanda Chittendon's Linky Party at Quilting with Vanda. You can ask me in a comment to this post or in an email, or you can ask the designer, Vanda Chittenden, at Quilting with Vanda. Where Can I Find Suggested Settings for This Quilt? All of the Hosts are presenting setting ideas for this quilt along. There are some great giveaways being offered as well! Check out their posts below. 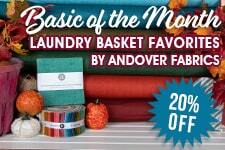 ​Block 11 is Autumn Harvest Barn by Abbie Danahy at Sparkle On. Abbie's pieced block is a joy to make! Since all of my fabrics are pretty dark or tan, I decided to make my block a night time scene, The pinwheels in my version are fireworks! Abbie's pattern and tutorial can be found at Sparkle On. There is only one more blocks to go! Check them all out! Each host will present a setting option on the same day that Block 12 is released! As a host for the Fall into a QAL quilt along, I am presenting my version of Abbie's block and my tips for completing it. All 12 of the blocks in the Fall into a QAL quilt along will be available free of charge on the designer's web site until November 13, 2018 at midnight EST. I will be offering links to the released block patterns on my Quilt Alongs page until then. Collect them all! The first step in making this block is to select your fabrics and to cut the pieces as directed in the pattern. See the photo below. ​The next step is to make four Half Square Triangles (HST) for each of the two pinwheels in the sky. I measured my HST after I finished them and trimmed them to the correct size. In the photos below, I show the yellow HST and the completed yellow pinwheel. You will make two pinwheels that are mirror images of each other. See Abbie's instructions and tutorial for her directions. See photos below. Sew the pinwheels to the sky strip as shown. Then sew the barn roof pieces together. Next, complete the barn side and front with door. Then lay out the block as shown and sew the pieces together. Start with the middle section and then add the sky and grass. See photos below. Lay Out and Sew the Remaining Pieces Together. What Are the Giveaways for Block 11: Autumn Harvest Barn? April Adams' newest JANDA Bend Quilts PDF pattern download, Christmas Tree Farm Table Runner. I am very excited about this pattern! It was inspired by the Christmas Tree Farm Block which was introduced in the I Wish You a Merry QAL Quilt Along. It will be released next week in my online Quilt Shop. How Do I Enter to Win the Giveaway for Block 11? Upload a photo of your finished block to Abbie Danahy's Linky Party at Sparkle On. You can ask me in a comment to this post or in an email, or you can ask the designer at Sparkle On. When Will the Next Block and Setting Designs be Released? Where Will I Be Able to Find Block 11 on October 16, 2018? ​​You can find Block 12 by Vanda Chittenden at Quilting with Vanda ​. My version of the block and a link to her site will right here on my blog! All block locations will be available on the Partners in Design Facebook Group or on any of the Host's blogs which are listed above​. In addition, each host will present their completed quilt top and setting information.